The 53rd Avenue Terminal is Caljet’s original terminal and is still Caljet’s center of operations and home to Caljet’s quality assurance laboratory. 377 thousand barrels of storage. 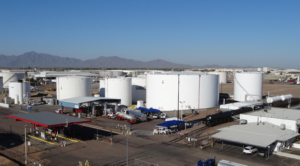 Products include Arizona Cleaner Burning Gasoline, Conventional Gasoline, ULSD, Ethanol and Biodiesel. Services include Biodiesel blending from 2% to 20% and Ethanol Blending of E85, and straight loads of Biodiesel and Ethanol. Extensive lab facilities, including EPA certified ULSD testing. 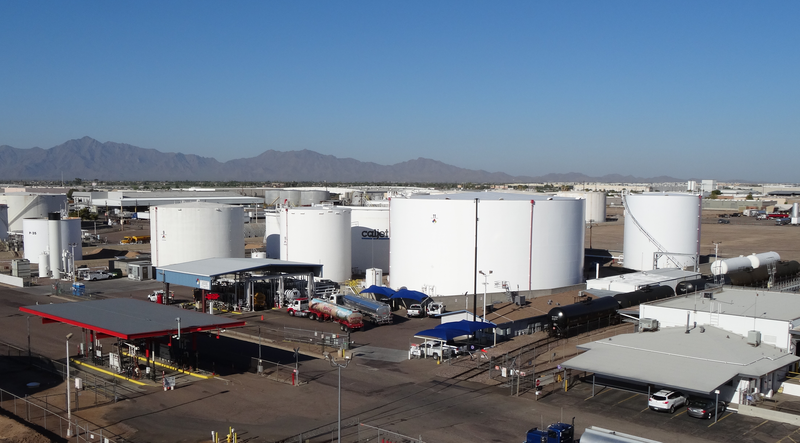 The Monroe I Terminal currently provides the majority of conventional gasoline storage. Monroe I was recently expanded, and is currently our largest terminal. Services include Biodiesel blending from 2% to 20% and Ethanol blending up to E85. The Monroe II Terminal underwent a complete remodel in 2008 creating one of the most state of the art terminals in the country. 284 thousand barrels of storage. Products include Arizona Cleaner Burning Gasoline, ULSD, Ethanol and Biodiesel. Connected via pipeline to the Monroe I terminal for railcar offloading and product transfers.